Falls Cliff cave is part of the series of caves located on the Purgatory Plateau on Dorset Mountain. 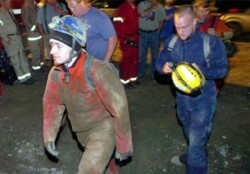 It was the scene of a cave rescue on June 30th, 2008. 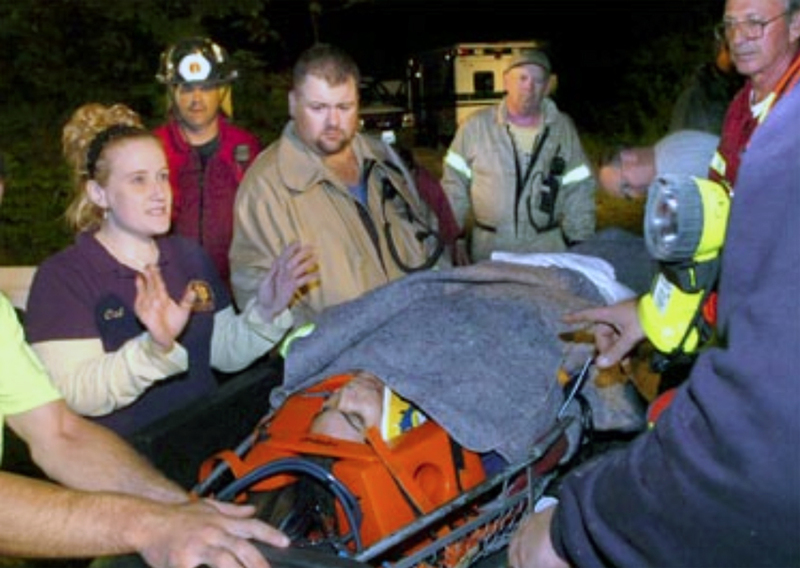 FALLS CLIFF CAVE RESCUE REPORTA 16 year old girl from Florida was successfully rescued after falling in Falls Cliff Cave I Dorset Vermont. The girl ,who was part of a group from a New Hampshire-based outdoor adventure camp, was climbing a rope ladder when she fell about ten feet. Her fall was cushioned somewhat by group leaders who were below her at the time. The estimated time of the fall was around 7:00pm on June 30. The patient was an estimated 100 feet from the entrance. Because of the potential for spinal injuries, the group leaders chose to call for help. One leader left to get help and treatment supplies. The patient’s wet clothes were removed and the patient was wrapped in dry blankets while awaiting help. The Danby-Mount Tabor Fire Department, East Dorset Fire Department, Manchester Rescue, and Vermont State Police all responded, and local cavers were requested to assist the rescue efforts. A Command Post was established to coordinate rescue efforts. The fire department used ATVs to transport personnel and equipment, and a trail through thw woods to the cave was cleared. Communications between the patient’s location and the surface was established using military field phones. This enabled information to be relayed quickly. The main challenge faced by rescuers was a 15 foot vertical ascent followed by a sharp turn into a horizontal crawl passage. This is a difficult move under normal circumstances, requiring significant maneuverability. Ceiling anchor points are very sparse at this junction, and normal anchoring of ropes and/or flexible ladders is done further back in the crawl passage. Further assessment of the patient showed lower back/flank pain and a large bruise in this area, but the pain was not midline. There were no abnormal neurological findings. It was determined that the need to maintain patient flexibility and mobility outweighed the need for precautionary spinal immobilization. A 3:1 haul/belay system was established to move the patient up the 15 foot vertical drop. A half-SKED stretcher was put in place to drag/carry the patient from that point to the surface. The patient was hauled up the vertical passage, and was able to maneuver herself with difficulty into the crawl passage. At that point, despite the pain she had from her injuries, she chose to continue moving on her own instead of being placed in the half-SKED. The patient exited the cave at approximately 1:00am on July 1. She was later discharged from the hospital with a diagnosis of contusions and abrasions. This rescue effort shows the challenges faced with cave rescue, particularly in Vermont. There is significant potential for caver fall in the typically vertical and muddy passages. Passages large enough to accommodate a fully immobilized patient are very rare, and most rescue scenarios will require at least some movement where less than ideal immobilization is necessary. Good assessments and difficult decisions regarding immobilization methods will be required. Well trained cavers are a crucial component of this type of rescue, which will be beyond the capabilities of most emergency agencies.